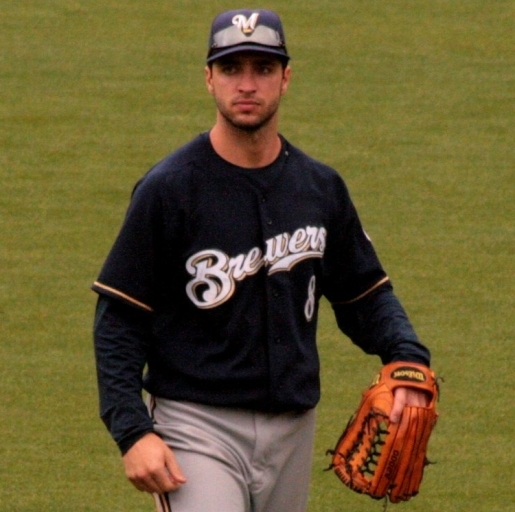 NL MVP Ryan Braun is also a Jewish baseball star. When it comes to the MVP race, the intrigue was all in the AL side, where Justin Verlander became the first pitcher in a two decades to take home the MVP. In the National League, the Baseball Writers Association of America went with a more traditional choice for MVP. The winner is position player and Milwaukee Brewers star outfielder Ryan Braun, bringing home his first MVP award. Braun is the first Jewish baseball player to win the MVP award since Sandy Koufax since 1963. Braun’s Brewers won the National League Central this year, with a franchise record 96 wins. Braun had a .332 batting average, with an impressive 33 home runs, 111 RBIs, and 33 stolen bases. It was Braun’s first 30-30 season. The LA Dodgers‘ Matt Kemp took home a strong second, with Braun’s teammate Prince Fielder bringing home third.